As we count down the days until Tranmere finally play a Football League game again, rumours suggest a familiar face could be back in the squad ahead of Saturday’s game at Stevenage. Speculation on Twitter suggests former striker Cole Stockton could now be set to return to the club from Carlisle United, a little over a year after leaving to join Motherwell. Micky Mellon has been on the hunt for a new striker since Andy Cook joined Walsall just weeks after winning promotion with Rovers at Wembley. 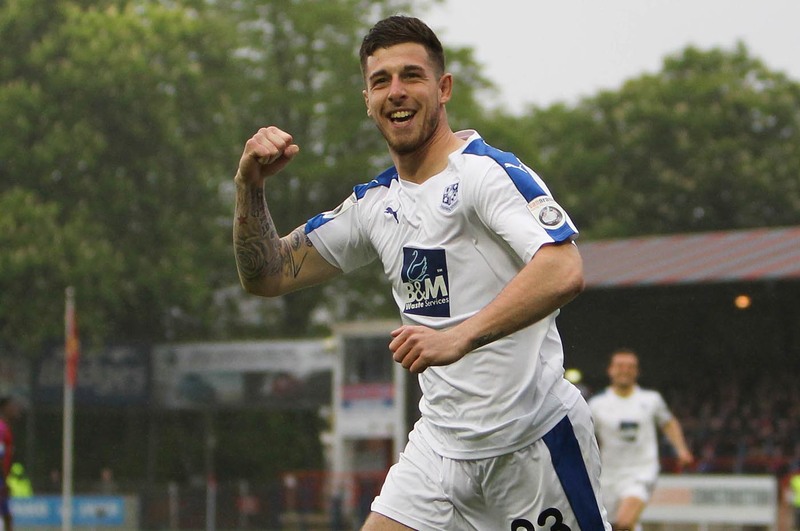 After bids to sign Fylde’s Danny Rowe and Boreham Wood’s Morgan Ferrier ended in failure, the Tranmere boss has been forced to look elsewhere. Stockton came through the youth ranks at Prenton Park and was highly-regarded as a young player. He perhaps lost his way a little having never been given a consistent run of games but, following a loan spell in League Two with Morecambe, Mellon brought him back in to the first team fold in January 2017. He repaid that faith, forming a great partnership with James Norwood and Connor Jennings and hitting a rich vein of goal scoring form has Tranmere fought their way to the play-off final, only to be beaten by Forest Green. Stockton had kept Andy Cook out of the team for that run, but with his contract up last summer, he joined Hearts in the SPL on a free transfer. He soon returned to England with Carlisle but appears out-of-favour under new boss John Sheridan. While it may just be baseless speculation, rumours which suggest Stockton could now be on his way back to the Wirral appear to be gathering pace. Rovers return to EFL action this weekend after a particularly painful three-year absence. Pre-season will have done little to ease fears of needing a replacement for Cook. James Norwood has looked isolated much of the time, and generally Tranmere have struggled to hold the ball in the final third of the field. One new forward that has come in is Paul Mullin, and while he will need time to adapt to his new team mates, he certainly does not appear to be a physical centre forward that Rovers need the option of in the squad. Mellon said he hopes to have at least one, maybe two, new strikers in ahead of the weekend, so it could be an interesting few days.